When safety concerns are discussed in the workplace, slips, trips, and falls are usually top of mind. 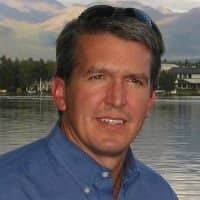 Loss of balance can be caused by a myriad of reasons, but the results are the same - an injured employee who is now filing a claim that could cost you a pretty penny. By taking a few preventative measures prior to starting construction, you can protect both your employees and your wallet from hazards. Slips occur when there is too little friction between a person’s footwear and the floor’s surface. This loss of traction can be caused by either the floor’s surface material or the presence of a wet or dry contaminate. Trips are defined as a loss of balance occurring due to a person’s foot hitting some sort of object, while momentum propels their body to continue forward. Falls can be the result of the aforementioned scenarios, or caused by an entirely independent event. Regardless, falls occur when a person moves from a higher to lower level, typically rapidly and without control. Accidents most often occur near transition areas and uneven surfaces. Transition areas are places in which a change in surface evenness or terrain occurs. Employees can easily misjudge their footing around these areas, resulting in some degree of bodily injury. One prevention method deals with carefully monitoring walkways. You should be on the lookout for any leaks in the drainage as well as any other surface irregularities. These irregularities include holes or cracks in walking surfaces, uneven surfaces / flooring, mats and rugs with elevated edges, and so on. When found, the irregularities should be repaired as soon as possible. Installing adequate lighting will also help you and your employees identify and avoid any potentially dangerous areas. Providing your employees with the proper footwear can also help prevent accidents from happening. This method is especially useful in situations where the flooring is inherently slick or will easily become slick. Some options include providing / requiring slip resistance shoes on the job site or providing slip resistant covers for your employees. Clearly marking and providing warnings for areas that are more likely to cause slips, trips, or falls is also beneficial in regards to preventing these events. There are also a number of products available that are geared towards preventing slips, trips, and falls. One long-term option available specific to the geomembrane market is a slip resistant walk mat. 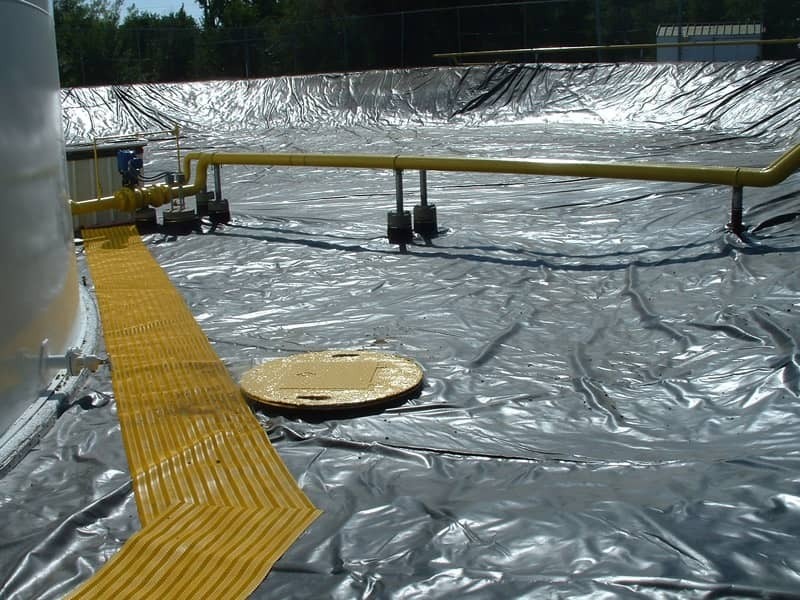 Some walk mats, such as the XR Walkmat, can be welded directly to a geomembrane liner system and greatly decreases the potential for these accidents. Because of the long-term nature, you won’t have to worry about falling the next time you are interacting with the geomembrane, whether it’s during an inspection, repair, etc. Slips, trips, and falls cost employers thousands of dollars every year, but luckily there are easy methods to take to prevent these events. What other preventative measures do you take on your construction sites in order to reduce accidents from happening? Tell us about it in the comments.